The Sudbury Igneous Complex (SIC) and its footwall rocks is one of the most significant centres of Ni-Cu-PGE mineralization, globally. 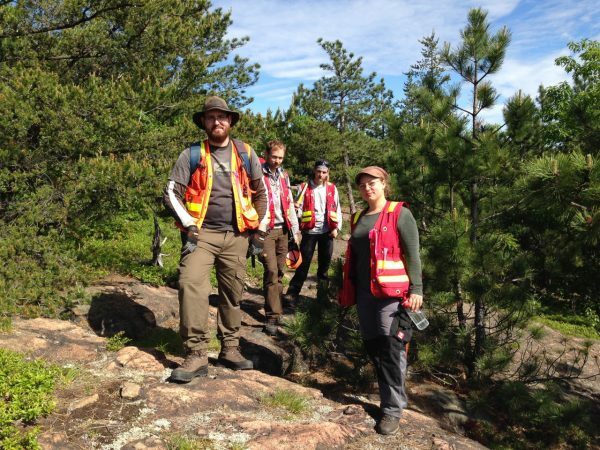 CEMI has supported geoscience projects, to better understand how Sudbury footwall ore bodies are formed and potentially, to understand how new ones may be discovered. 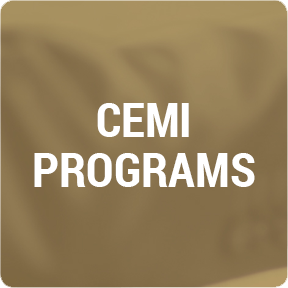 Dr. Ulrich Riller (University of Hamburg, Germany) and his students have been studying the emplacement of mineralization as part of a three-year research programme funded by CEMI and Vale. The nickel-copper deposits in the SIC are considered to be related to processes resulting from a large meteorite impact 1.85 billion years ago and its post-impact orogenic deformation. The most economically valuable mineral resources occur either at the basal contact of the SIC (contact deposits) or in host rocks close to basal contact (footwall deposits). Transport and emplacement of the respective mineral phases in the tectonothermal aureole of the SIC are thought to depend on the deformation processes that occurred in the brittle to brittle-ductile period. The activation of prominent faults during the post-impact deformation may have also significantly displaced mineral deposits. The post-impact deformation created unprecedented natural laboratory conditions to investigate igneous, metamorphic and deformational processes occurring at the base of a large impact crater. In total, 7 graduate and 10 undergraduate student projects are funded. The project activities include: structural field and drill core analyses; inference of fault segment orientations from LiDAR data; 3D-kinematic restoration of kilometre scale fault zones; inversion of fault-slip data; interpolation of principal strain axes; microstructural and quantitative image analysis of grain-scale mineral fabrics; and analogue modelling experiments. The projects have been conducted in close collaboration with Lisa Gibson and Dr. Peter Lightfoot, both with Vale. Kinematic restoration of the deformed SIC and its footwall rocks in the East Range revealed thickness variations of the SIC that are not apparent in geological maps and can be spatially related to footwall deposits. These confirm that mass redistribution occurred at the base of the SIC after crater formation and contributed to the formation of footwall deposits. Current examinations of sulfide veins in drill core provide insight as to the physical conditions of footwall rocks during formation of the respective deposits. Collectively, the (micro) structural, field and kinematic modelling studies help to better understand the mechanisms of footwall deposit formation. These should significantly advance our understanding of the structural evolution of the East Range and the deformation mechanisms operating during mineral deposit formation at the base and below the Main Mass of the SIC.